Welcome to the first Inspired Makeup Monday of 2019. I know…I KNOW! This seems so basic but I can’t even begin tell you how excited I am to continue on this journey with you all in the upcoming year. I am beyond inspired to make this year the best year. I am so glad for all of you who have joined me on this ride and I hope that all of your goals are accomplished quickly and with ease. Tell me, what are some of your new year resolutions? I started out by applying my base with my PÜR Cosmetics Beauty sponge and filling in my brows. I then highlighted with my concealer as I would typically, but before setting my face I sketched out where I wanted my 2019 to go using that same concealer. I then powdered, contour, bronzed, and highlighted before doing a simple brown smokey eye - lining my upper and lower waterline with a black liner and my lash line with a liquid liner. 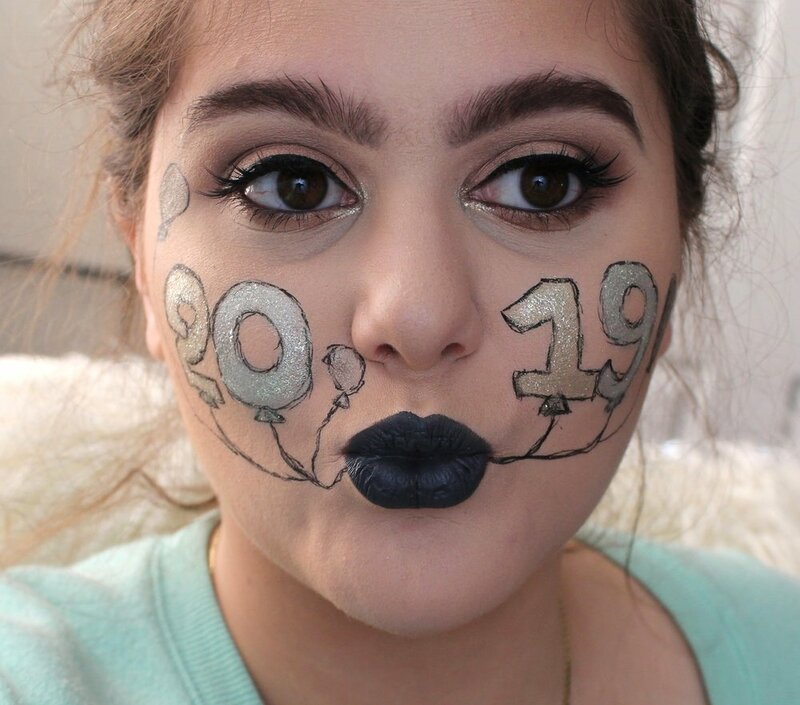 I used the same liquid liner to outline my 2019 balloons and sketch on my other balloons. I filled in the balloons with the Jouer Skinny Dip Palette and brushing a light coat of Diamond Dust glitter shadow on top and in my inner corners. Finally I lined my lips, filled them in with liquid lipstick, mascara and lashes and the look is complete!